If a lean physique and a well-toned body is what you are looking for, cardio is what you should be aiming. It burns calories and keeps the body in tremendous shape. Unfortunately, the motivation to do it doesn’t come all that easy. Make Changes: Enjoy skipping one day, run up the stairs to the terrace the other day, or simply run around the park the third day. Variety is the golden rule. Challenge your Partner: Encourage your spouse to challenge you while doing each type of exercise. Offer a ‘beat me’ challenge for that last round. Take up a Sport: Revive your childhood memories by playing sports that involve a lot of cardio. Try volley-ball or beach-ball. Take up New Challenges: Progress is very important for any exercise. Set new goals every week and always make it a point to change activities every second week. 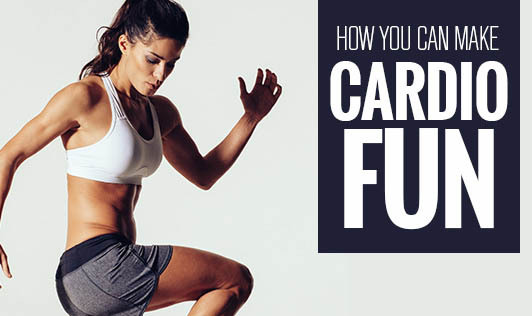 Cardio is fun and not something to be worried about. Make it exciting by adopting these smarter ways to workout and you will soon be on your way to achieving complete fitness.